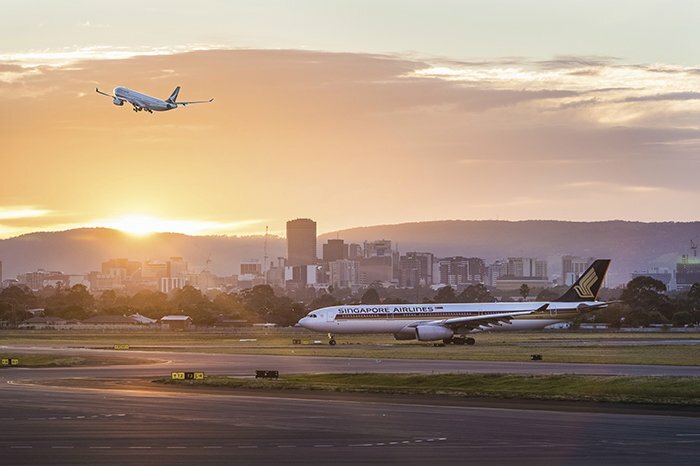 Adelaide has frequent international direct flights with nine international airlines: Air New Zealand, Cathay Pacific, China Southern, Emirates, Fiji Airways, Jetstar, Malaysia Airlines, Singapore Airlines and Qatar Airways. With excellent one-stop connections to over 400 cities around the globe, it will be easy to get to World Routes 2019. Adelaide’s central position on the continent ensures fast, frequent and affordable domestic connections to all major Australian cities. Australian domestic carriers are Qantas, Jetstar, Virgin and Tigerair. Each have code share arrangements with international carriers. Adelaide Airport is located just 15 minutes from Adelaide’s city centre and minutes from the city’s famous beachside suburbs. Adelaide Airport is conveniently located and is one of the most efficient passenger terminals in the world. Adelaide is the perfect gateway to Australia’s must-see tourism destinations. Uluru, Sydney Harbour Bridge, Kangaroo Island and the Great Barrier Reef are all within easy reach from Adelaide.